an angled magazine. The 39M was long 750 mm and weighted 3,65 kg unloaded. The magazine stored 40 bullets. rounds clip, it was long 1.105 mm and it weighted 3.1 Kg unloaded. 165 mm, it served the Hungarian Army in the WWII too. WWII, it weighted 770 g and it was long 182 mm, the magazine stored 7 bullets. About 200.000 Frommer in caliber 7.65mm were built for the German Army too. inserted in the left side of the weapon. maintain the discipline in the army. called kettenhunde – that means dog chain. will end the story, and so he might project his feelings on the characters. Your pictures of weapons are awesome , look like phographies. You are always very kind, thank you Lorena. I really don't know if it was due to analogy or homology. Это не советское оружие вовсе, и не русское, с чего вы взяли?? Я не знаю русского, и я надеюсь, что переводчик хорошо переводится. солдат и оружие - венгры. Между тем, я уже разработал российское оружие первой мировой войны. Yep the 20th was a bad century to be Hungarian, they lost their half of the Austro-Hungarian Empire after WW1, and got minced by their "friends" and by the Soviets during WW2. No wonder this soldier looks a bit depressed. You are very right, and this really was the reason why he is sad, the author is omniscient, and he knows the story better than his characters. 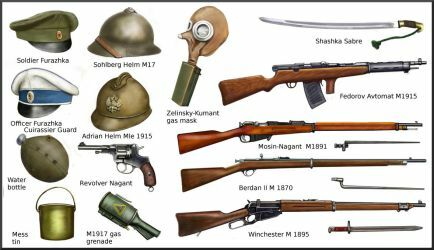 Why the Steyr-Solorthum MG30 resembles a German MG34? Veramente ben fatti !! Meriterebbero fi essere su un libro della osprey!!! You are right one more time, it's the same weapon, the fact is that Germany to by-pass the Versailles' treaty that forbade Germany to produce machines gun, they were designed in Germany but producted in Swiss and in Austria, then the Swiss and Austrian firm sold this light-machine to many European Armies. Well done sir, a much forgotten axis ally. Great detail on this one, multi bene!!! Ah Old Boy beautiful work, it's interesting to see the others countries involved on the Eastern Front. And I see that the Hungarians were still better equipped than the Romanians. Thank you my friend. Hungarian army was similar to Italian army, and better armed than Romanian army. But Russian made meat boll of both, the Turan II tank was a quite good medium tank, but its 75 mm cannon was unable to pierce the frontal armor of a T-34, and only 140 were built. The Hungarians sure did some strange yet cool weapons in WW2! Nice job man! 380 and 32ACP standard pistols? I almost feel sorry for those issued with those weapons. I agree, a 38 or even worse a 32 ACP were really under-powered for military use. Twas actually quite common back then. Even the French, adopted the 32 "Ruby" Pistol in WW1. Ahh, my bad. 9x19mm is essentially the standard, I suppose. Italy used the .380 ACP, we call it 9x17 mm or 9 corto. I agree that a .45 ACP or a .455 webley has a great stopping power, of course, the shot is not instinctive and it is necessary an expansive training, unfortunately several armies have often spared too ammunition, or chosen the cheaper ammunition. So I have heard, a lot of that was due to armies and the general public not knowing about ballistics and what it really takes to kill someone and that many armies in Europe handguns are for rear troops and officers. Yes, as good a stopper the 45 caliber weapons are, many have decided capacity is more important than killing power. Yes, sadly true, many general were short sighted not to invest in good ammonitions. I think the best invention of Germany during WW2 was the 7,92x33 mm Kurz Patrone, a genial idea. Nice! I see you're moving from WWI into WWII! Great job my friend^^, were these Gendarmes Russian or Hungarians who served the Soviet union? My pleasure^^, oh now i get it, did the Hungarians served directly under the Nazis, or were they independent?! well, more or less indipendent, on the Don front, together with Romanian, Italian and German. They lost about 300.000 men. Ah i see, i guess most of troops of the Axis powers were more or less under command of the Germans back then, following Hitler becoming their main leader! Lol, yes, kinda ironic how Hitler first considered Mussolini his model, then in the later phases of the war they just switched places, and Hitler became all of a sudden the Führer(leader) of the Axis powers. Lol, yes, after the release of Mussolini from the prison of the Gran Sasso, he became just a puppet in the and of his old allied. Can I suggest you an Italian for Iran History? I mean Enrico Mattei, the director of the Italian Petrol Agengy, the AGIP. He signed an agreement with the Iranian government for one Exploitation fair of Iranian oil, fifty-fifty% drawing the hatred of the 7 sisters, then signed a prior agreement with the Algerian Liberation Committee, finally, who knows he died in an attack. Good to see another great work of minor Axis power soldier,This one is especially well done! And I like the last paragraph of the description most! will you do for the other axis forces as well? Yes, I think so, with very calm...... the next one will be finnish. Affascinante, come sempre *W*! Adoro tutti i dettagli!